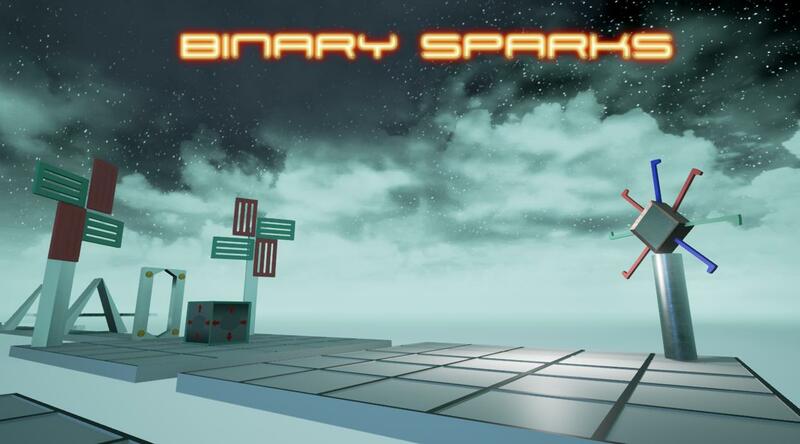 Binary Sparks - A weather/electricity puzzle game! You control B.O.B (Binary Organized Bot) in a stranger futuristic solar system. Use electricity, weather effects and dimension shifts to solve puzzles. On each level there are contacts that must be connected to different corresponding plugins. Once each contact has been plugged in, sparks will appear, taking B.O.B to the next level.